Why Adobe Photoshop the perfect tool to design a website layout? The post Why Adobe Photoshop the perfect tool to design a website layout? appeared first on designrfix.com. https://www.primarytech.com/wp-content/uploads/2013/04/PrimaryTechnologies-Logo-new1-300x144.png 0 0 admin https://www.primarytech.com/wp-content/uploads/2013/04/PrimaryTechnologies-Logo-new1-300x144.png admin2017-10-23 16:00:042017-10-23 16:00:04Why Adobe Photoshop the perfect tool to design a website layout? The following is a short extract from our book, Jump Start Adobe XD, written by Daniel Schwarz, a highly practical tutorial on this fantastic prototyping tool. SitePoint Premium members get access with their membership, or you can buy a copy in stores worldwide. 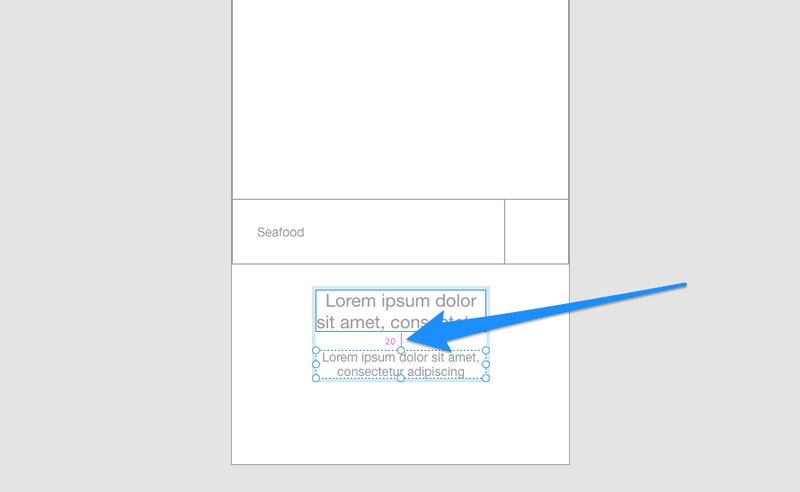 Smart Guides were originally introduced in Sketch and later adopted in Photoshop after the feature became a hit. 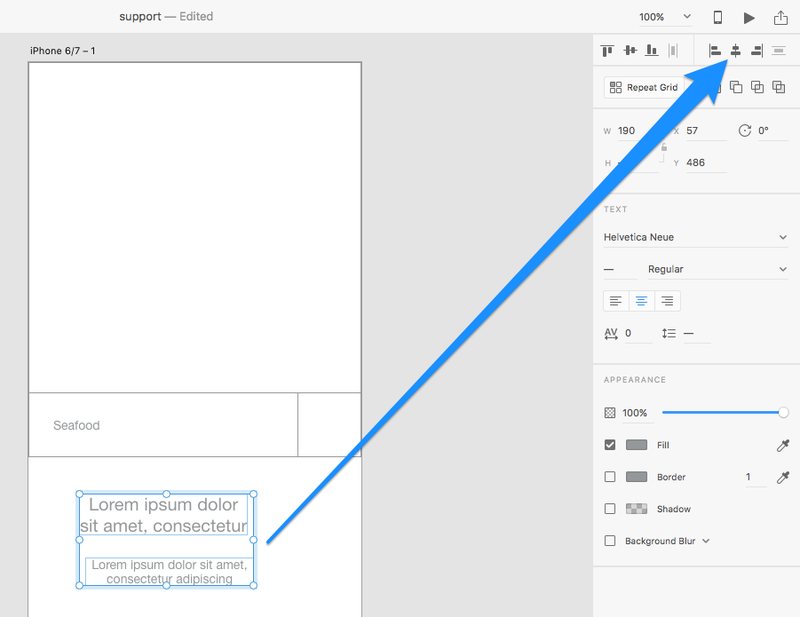 Adobe XD explains them in their help section: “When you move an object or artboard, use Smart Guides to align the selected object or artboard to other objects or artboards. The alignment is based on the geometry of objects and artboards. Guides appear as the object approaches the edge or center point of other objects." Let me start by saying than an object is a common term used to describe a shape layer, text layer, group or bitmap on the canvas. Basically, any type of layer or group is an object. Guides are visual cues that illustrate how objects align to one another — they can display the distance between two layers, or indicate whether or not a layer has snapped to the bounds of another object or artboard edge. 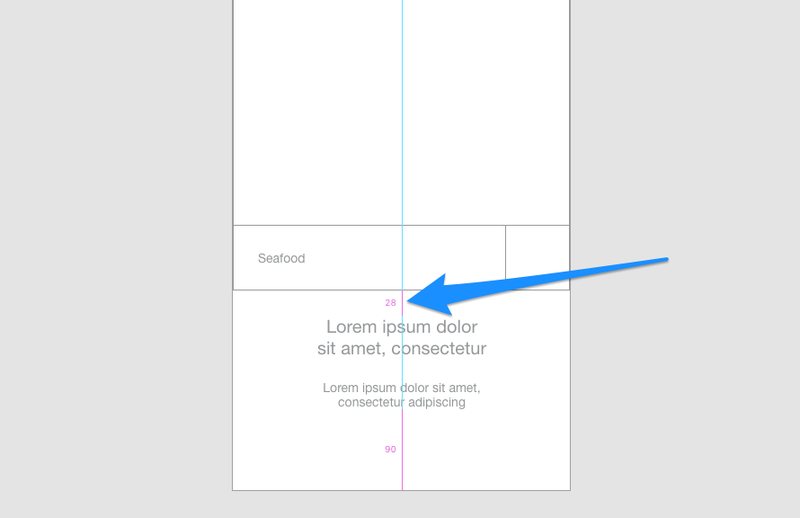 Adobe XD will try to anticipate where you want to move a layer, and automatically snap to that location when you draw close to it, while showing how far you have left until you reach it. You can work out the distance manually by selecting the first layer, holding Option/Alt, and hovering over the second layer. Let's start by aligning a layer manually, so we understand the difference. A moment ago we grouped two text layers together — select both of them once more (hold Shift while you click them) and click the Align Center (Horizontally) button in the Inspector, or use the shortcut: Cmd + Control + C (Shift + C in Windows). You’ll know you’ve done this correctly because the colored lines of the smart guides will illustrate what the object has snapped to (which will be the dead-center of the artboard, as indicated by the vertical line that appears). You'll also notice the relative distance between the search function group and the welcome text group (as indicated by the numerical value). Select the bottom-most layer of this group, hold Option (Alt in Windows), then hover the cursor over the top-most layer. This is a manual approach (also known as Option/Alt-hold) to measuring the relative distance between two layers. You can move layers as normal while option-holding, so use the ↑→↓← arrow keys until the distance is 5px. Let's use what we've learned to add some more elements. So far we’ve taken our first look at shape layers, text layers, grouping of layers, alignments, smart guides, and some other basics. Let's recap some of that and finish off this screen, starting with a bottom navigation component with four links. Attention: We use some new CSS properties in the demos; please view them with a modern browsers. This demo is kindly sponsored by HelloSign API: The dev friendly eSign. Let’s have a look at the SVG which we will use to insert the path coordinates dynamically. Note that in our demos, we make use of CSS custom properties to set the path colors. this.elm = elm; // Parent SVG element. this.path = elm.querySelectorAll(‘path’); // Path elements in parent SVG. These are the layers of the overlay. this.numPoints = 18; // Number of control points for Bezier Curve. this.duration = 600; // Animation duration of one path element. this.delayPointsArray = ; // Array of control points for Bezier Curve. this.delayPointsMax = 300; // Max of delay value in all control points. this.delayPerPath = 60; // Delay value per path. Further methods that determine the appearance of the overlay are the ShapeOverlays.toggle() method and the ShapeOverlays.updatePath() method. The ShapeOverlays.toggle() method has the function of opening and closing the overlay, and also of setting the delay value of each control point for every time it opens and closes. It is not necessary to set the delay value every time, but by altering it, it will create some nice randomness. The ShapeOverlays.updatePath() controls the animation by specifying the easing function. For example, in demo 1, the same easing function is used for all control points, and the delay value is set like a fine wave using trigonometric functions, so that we get a “melting” appearance. In our demos we use this effect to create an overlay in order to show a menu in the end of the animation. 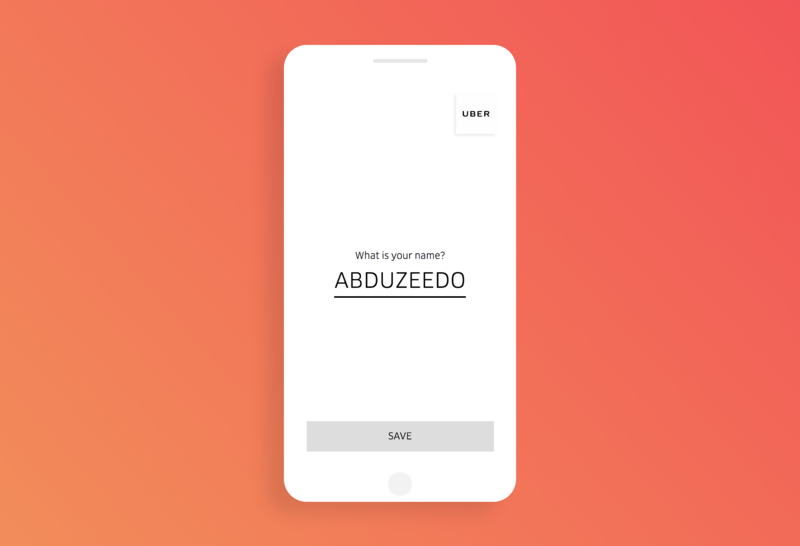 But it could also be used for other types of transitions, like page transitions or scroll effects. Your imagination is the limit. We hope you enjoyed this effect and find it useful! glsl-easings by glslify. Easing functions that use to demos are based on the code of glsl-easings module. Dynamic Shape Overlays with SVG was written by Yoichi Kobayashi and published on Codrops. This month, we&apos;re taking a look at custom brushes for illustrators. We&apos;ll start with some brushes for Photoshop. These aren&apos;t all exactly new, but with so many options out there, it can be hard to know which ones to use. Beyond these top five, if you&apos;re looking for a more extensive collection, take a look at our roundup of The 60 best free Photoshop brushes. Then we&apos;ll move on to top Clip Studio Paint (aka Manga Studio) brushes. Like Photoshop, you can also add custom brushes, as our guide to creating custom brushes in Clip Studio Paint shows. There&apos;s bound to be something here for you, so let&apos;s get started. If you&apos;re looking to add different tones to your illustrations, check out these free brushes by Spoon Graphics. 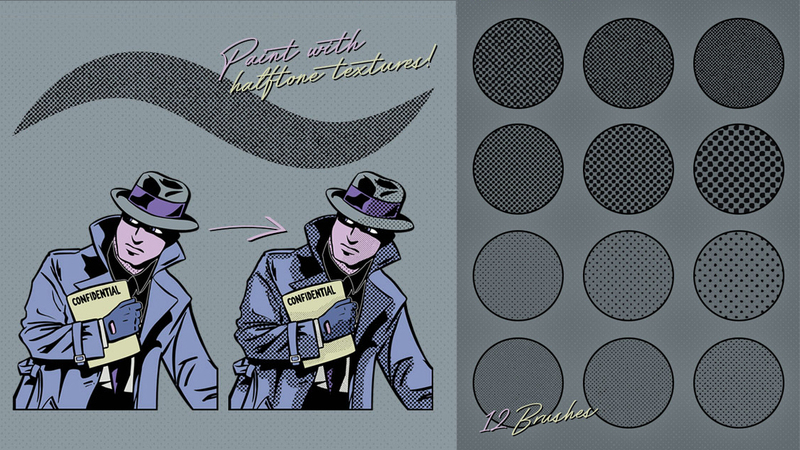 With this set of 12 distressed halftone effects, you&apos;ll be able to add retro shading and halftone textures with ease. The pack includes a range of dot patterns including Fine, Light, Heavy and Dark, each with three size options. The brushes are also sensitive to pen pressure, so graphics tablet users can easily adjust the size of brush this way. 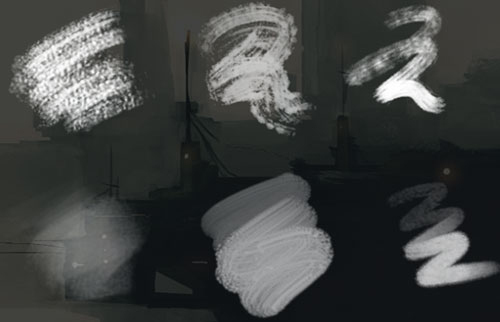 Here&apos;s another set of free Photoshop brushes from Spoon Graphics, which includes 10 presets at 2000 x 2000 resolution. The subtle textures here are versatile, and ideal for creating all kinds of distressed or worn looks. They&apos;re easy to resize and edit to suit your needs. If you&apos;re looking to add a little grunge to your illustrations, this is an awesome pack to have loaded. This splatter pack was created by Brusheezy user Benjamin McFetridge, who&apos;s rather new to the game – this is his second ever brush set, which he created after his first one proved so popular. It will have you tossing digital paint all over the place in no time. This set includes 25 hi-res custom brushes for Photoshop. Liza Giannouri, another Brusheezy user, has a set of 20 painterly brushes ready for you to try. This isn&apos;t her first set. In fact, Giannouri has over 1063 uploads. 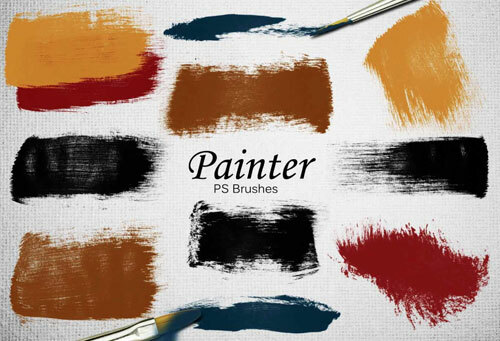 This particular set includes a number of brushes designed to mimic traditional paintbrushes, and is ideal for adding a painterly look to your digital artwork. Quite possibly my favourite brush packs come from Kyle T. Webster – although you won&apos;t be able to get them from his site anymore. That&apos;s because Adobe has partnered with Webster and now all of his brushes are included in the Creative Cloud library. How do access them? Launch Photoshop (if you don&apos;t have it already, get Creative Cloud here). Create a new document. 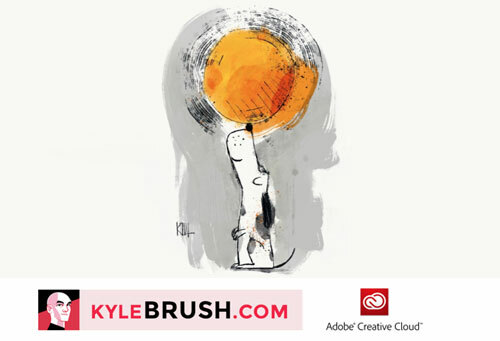 Switch to the Libraries panel, and select the &apos;Kyle Brushes&apos; library. Are you interested in learning how to make your own custom brushes? 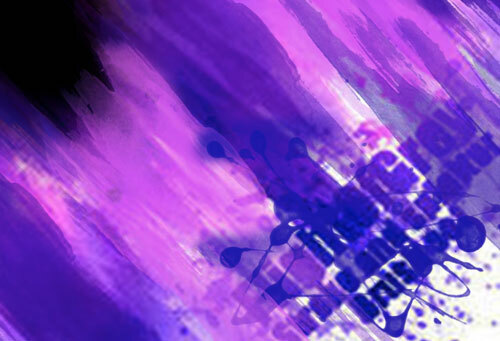 If so, check out this video tutorial on how to make your own custom brushes in Photoshop. This set of Clip Studio Paint brushes by DeviantArt user lapinbeau comes with 14 different pencil and ink-style brushes, some of which were modelled after well-known artists. Styles include oil pencil, crow quill, soft pen and calligraphy. SerketXXI, another DeviantArt user, created this set of blues and reds for those of us who remember &apos;the good old days&apos; of pencils, paper and copying machines. 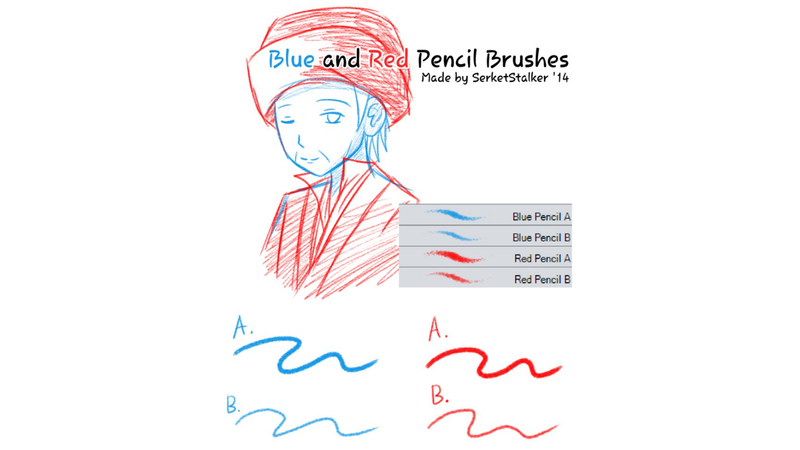 This pack includes four brushes: light and heavy versions of red and blue pencils, for use in Clip Studio Paint. Simple but handy. DAUB creates custom brushes for Clip Studio Paint, Affinity, Procreate and Photoshop. Its brushes are crafted using natural media and parametric generation, making them as realistic as possible. There are a number of different packs from which to choose, or you can grab yourself the Super Bundle for €9.99 (around $11.80/£8.90 at today&apos;s exchange rates) and call it day. 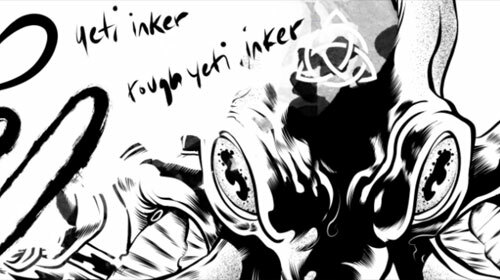 The Yeti was one of the first brushes I added to my installation of Clip Studio. I use it with almost every illustration I create. These brushes are the work of the "damn nice, self-aware, humble, tall and hairy" Zombie Yeti. The brushes create a lovely ink pen effect, and the best part is: they&apos;re free. Once again saving the best for last, Brian Allen at Flyland Designs has created what I like to call my Clip Studio &apos;U-toolity&apos; belt. His mega-packs have everything you need to create the perfect illustration. For just $6.99 USD you can get Volume 1 and Volume 2, which combined has more than 220 brushes. These include crosshatch brushes, copic marker brushes, fur and hair brushes, inking brushes, pencil brushes, special pattern brushes, splatter brushes, stippling brushes and more. So what are you waiting for? Go grab those brushes! Interested in making your own custom brushes? 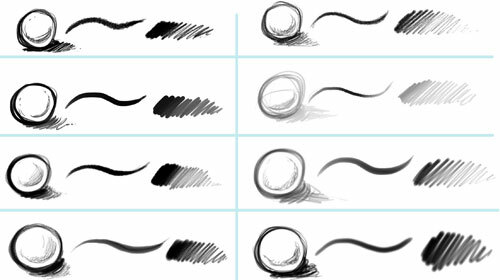 Try one of these helpful tutorials: Create custom brushes in Clip Studio Paint or Using custom brushes in Clip Studio Paint. You might also like our tutorial on how to create a custom sticker brush in Artrage. This article was sponsored by JetBrains. Thank you for supporting the partners who make SitePoint possible. Each tip can tremendously increase your development productivity, so let’s dig into them a little deeper one by one. Angular CLI is a Command Line Interface (CLI), written and maintained by the Angular team, to help automate your development workflow. You can use it to quickly create new Angular projects and add new features such as components, services and directives to existing Angular projects. WebStorm’s integration with Angular CLI provides you with all its power right from within WebStorm, without using the terminal. To create a new Angular Project, choose File | New | Project and select Angular CLI. Enter a project location and hit the Create button. 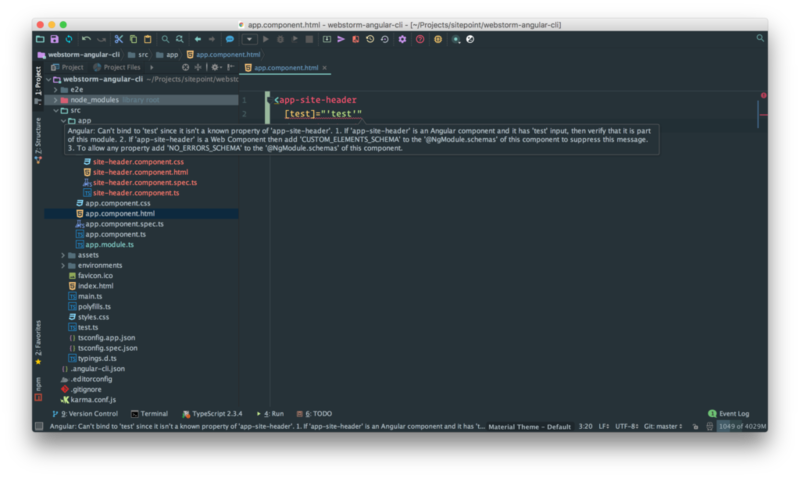 WebStorm uses Angular CLI to create a new Angular project and install dependencies. When your new Angular application is in place, you can easily add new Angular features. Right click on src/app and choose New | Angular CLI to pick the type of feature you wish to add. To learn more about Angular CLI options and parameters, make sure to check out The Ultimate Angular CLI Reference. What’s really awesome is that WebStorm automatically adds the component to the right Angular module for you, in this case AppModule. If your application has multiple Angular modules, right click on the module you wish to add the feature to and choose New | Angular CLI. WebStorm will make sure the new files are created in the right location and that the new feature is added to the correct Angular module. Use cmd-click or cmd-B to easily jump to any definition within your project. If you are a keyboard user, just put your cursor on a term and hit cmd-B. If you are a mouse user, hold down the cmd button and all terms you hover will turn into links to their definition. 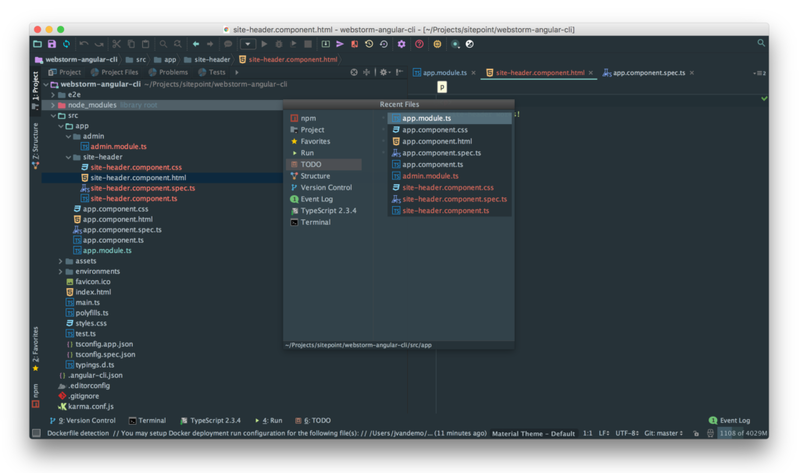 WebStorm automatically recognizes Angular components and directives in your HTML, links to stylesheets, links to templates, classes, interfaces and much more. 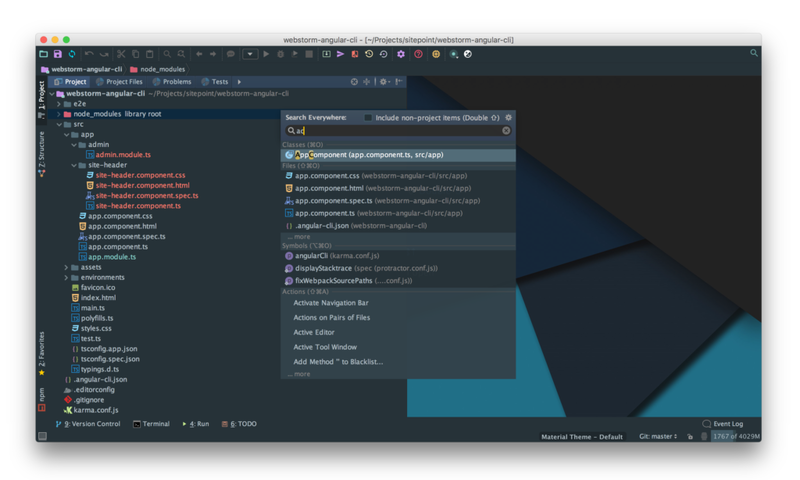 Another super useful navigation shortcut is cmd-E, which presents you with a list of recently edited files so you can easily navigate back and forth between them. Knowing how to quickly navigate to the code you need will save you a tremendous amount of time every single day. Angular Language Service is a service, designed by the Angular Team, to provide IDEs with error checking and type completion within Angular templates. 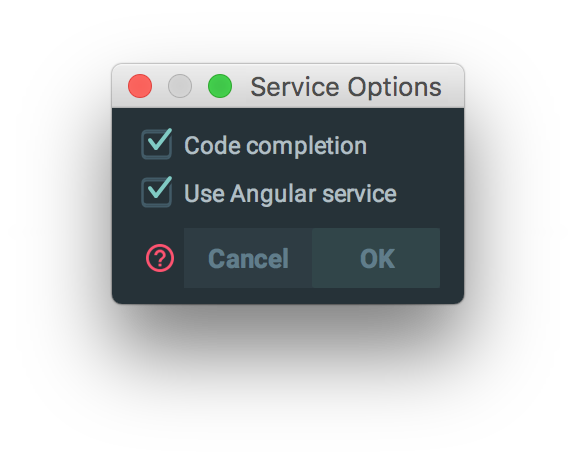 If you use Angular CLI to generate an Angular application, Angular Language Service is automatically installed. By default, WebStorm already provides great assistance for writing Angular code. 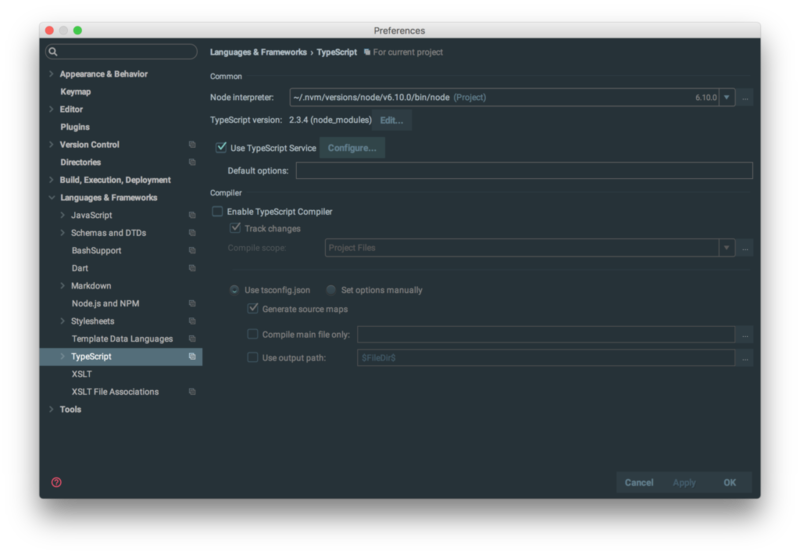 If you open up the TypeScript panel, WebStorm provides you with immediate feedback on the validity of your code, so you can quickly resolve issues before having to compile your project. Catching errors without having to compile your project saves you incredible amounts of time. Don’t worry about formatting your code manually. WebStorm has you covered. Savannah Reising introduces the brilliant solution for Luna Display that adds another “button” to the iPad using the camera. Based on Mikael Ainalem’s interesting idea, this library loads images and exports traced outlines as image/svg+xml URL-encoded data. By Emil Tholin. An excerpt from Chapter 2 of Richard Rutter’s new book, “Web Typography”. Collective #358 was written by Pedro Botelho and published on Codrops.